Yes, technology is great for business. And yes, technology is great for entertainment and pleasure purposes. But one thing that isn’t always highlighted is how much new tech can help with the everyday school experience, especially at elementary and high school level. And, because students are going to get thrown into the adult world and all of its technological advances pretty much immediately after graduating anyway, why not throw some of those improvements and advances their way while they’re still in a learning environment? And you’ll note, a lot of these improvements have to do with basic communication processes at well. Most people will remember their school experiences with PA systems. Muffled, almost unintelligible tones coming from ramshackle speaker systems in the walls and on the ceilings. With new technology and better production, when schools install PA systems now, they are provided with clear, clean sound, energy efficient devices that are very high quality and are easy to install, manage, and repair as required. Many of these are very lightweight and unobtrusive now, to add to the overall value. 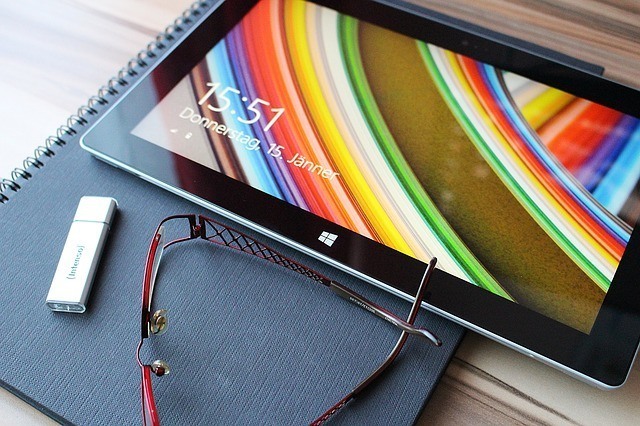 Adding tablets to the mix in schools has led to amazing improvements in the school experience. Many of the heavy books kids had to lug around in the past are now replaced by virtual versions. Inside the tablets, information can be highlighted now as well, and searched, and organized in much more efficient ways so that students can have a much more effective way to study their material. In addition, connectivity to the Internet in order to search things makes a huge difference with reference to time, money, accuracy, and all sort of different parts of the educational experience. These abilities will also contribute to overall technological savvy when they get out into the working world as well. Another aspect of technology that has helped the education experience is the better organization of virtual connection points, like websites, that teachers themselves have been putting up for students to use. By having things like educational resources and links to assignments and calendars, teachers are giving students that ability to find information they need quickly and accurately, and there can be no more excuses about losing pieces of paper. In the end, it makes sense that tech-savvy students will make tech-savvy adults, and that’s a win for individuals and for society as a whole. As long as information is being used responsibly to continue toward the end goal of a sustainable future with respectful constituents, schools should dive into any improvements that may be possible. Having teachers and administrators embrace this kind of future will give kids a head start toward a more proactive technological life.